MAGEE, Captain James Alexander, U.S. Navy (Ret. ), age 82, died on May 9, 2018, after a brief illness. He was born August 9, 1935 in Atlanta, GA, where his father was a motion picture distributor, and his mother a teacher at the Lovett School. Immediately upon graduation from Oglethorpe University in 1957, with a Bachelor of Arts, Capt. Magee enrolled in the Navy’s Aviation Officer Candidate Program, undergoing basic flight training in Pensacola, FL. Having trained on the T-28, he graduated to advanced training in helicopters, receiving his wings in February 1959. Capt. Magee was a helicopter pilot for much of his Naval career, initially attached to the squadron HU-1 in San Diego. His first deployment was aboard the U.S.S. Bon Homme Richard, CVA-31, where his main job was to provide plane guard for its fixed wing jets. During this period, he narrowly survived a helicopter crash in Okinawa. Capt. Magee later spent three years as a flight instructor in Pensacola, training students in the T-28. After that, he returned to sea duty with HS-3, where he flew SH-3D anti-submarine helicopters based in Norfolk, VA. An additional career highlight during this period was his role in the helicopter pickup of astronauts from the Apollo missions, mentioned in broadcasts by CBS Evening News anchor Walter Cronkite. In 1970, he graduated Naval Command and Staff College in Quantico, VA, and was then assigned to Washington DC for his first Pentagon tour of duty. Completing that, in 1974 he was assigned to HC-6, first as Executive Officer, then Commanding Officer. HC-6 provided VIP helicopter transport for the Atlantic Fleet at Norfolk, and deployed heavy lift vertical replenishment helicopters of the Atlantic Fleet. 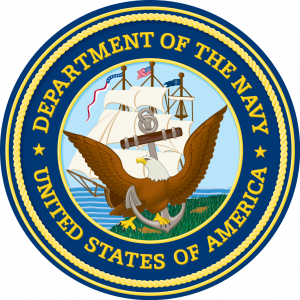 After HC-6, he was assigned as Executive Officer aboard the U.S.S. Guam, then to the Pentagon for his final tour before retirement in 1984. After leaving the Navy, Capt. Magee joined the Bell-Boeing Joint Program office in Washington, DC, where he was Program Manager for the V-22 Osprey tiltrotor aircraft. After retirement from Bell-Boeing, he became an accomplished amateur photographer and taught photography to adult education students in Arlington County. Capt. Magee was also an active member of the Navy Helicopter Association. At the time of his death, he had been a resident of Arlington for almost thirty years. In 1964, Jim married Peggy Ann Greene of Manchester, GA. They later divorced. He is survived by his son, Glenn Alexander Magee, a university professor who lives in New York. Funeral services and internment will be at Arlington National Cemetery at 9:00 A.M. on Tuesday, July 16th, 2019, with full military honors. So far as I know, there is no limit to the number of mourners at the service. Everyone receiving this message is certainly welcome to attend. I have been told that we should gather at the Administration Building at Arlington about 45 minutes before the service begins (i.e., at 8:15 A.M.). We will proceed from the Administration Building to the gravesite, and friends and family are asked to provide their own vehicles for this, as the cemetery provides no transportation. I have been told that the structure of the service does not allow for a eulogy or remarks by family and friends. If you have questions or concerns, please don’t hesitate to contact me. However, at this point, I have no other information to provide aside from what is stated above.